Sauti continued, That best of kings, having heard this great discourse,began all those rites that are laid down in the ordinance, for thecompletion of his great sacrifice. Questioned by thee, O Saunaka, I haveduly recited to thee and all these Rishis that are denizens of theNaimisha forest, that great discourse having Narayana for its topic.Formerly Narada had recited it to my preceptor in the hearing of manyRishis and the sons of Pandu and in the presence of Krishna and Bhishmaalso. The Supreme deity Narayana is the Lord of all the foremost ofRishis, and of the three worlds. He is the upholder of Earth herself ofvast proportions. He is the receptacle of the Srutis and of the attributeof humility. He Is the great receptacle of all those ordinances thatshould be practised for attaining to tranquillity of heart, as also ofall those that go by the name of Yama. He is always accompanied by theforemost of regenerate persons. Let that great deity be thy refuge. Hariever does what is agreeable and beneficial to the denizens of heaven. Heis always the slayer of such Asuras (as become troublesome to the threeworlds). He is the receptacle of penances. He is possessed of great fame.He is the slayer of the Daityas known by the name of Madhu and Kaitabha.He is the ordainer of the ends that are attained to by persons acquaintedwith and observant of scriptural and other duties. He dispels the fearsof all persons. He takes the foremost of those offerings that arededicated in sacrifices. He is thy refuge and protection. He is enduedwith attributes. He is freed from attributes. He is endued with aquadruple form. He shares the merits arising from the dedication of tanksand the observance of similar religious rites. Unvanquished and possessedof great might, it is He that always ordains the end approachable by theSoul alone, of Rishis of righteous deeds. He is the witness of theworlds. He is unborn. He is the one ancient Purusha. 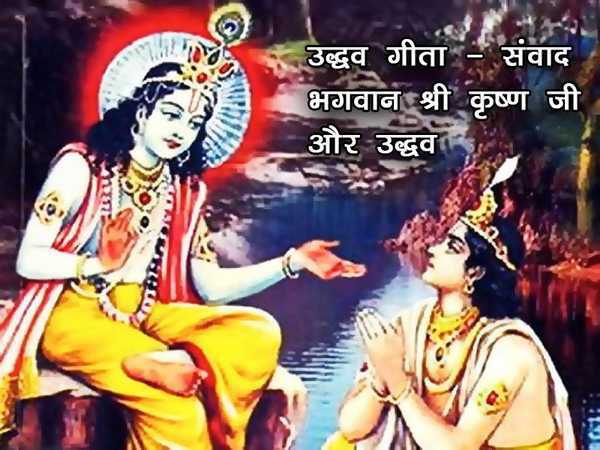 Endued with thecomplexion of the Sun, He is the Supreme Lord, and he is the refuge ofall. Do all of you bow your heads unto Him since He who sprang from thewaters (viz., Narayana himself) bends his head unto Him. He is theorigin of the universe. He is that Being who is called Amrita. He isminute. He is the refuge upon whom all things depend. He is the one Beingto whom the attribute of immutability attaches. The Sankhyas and Yogins,of restrained souls, hold Him who is eternal in their understandings.